How to Choose the Best Hunting Climbing Sticks? If you have been pounding your head trying to find the best climbing stick for you, here are the best five climbing sticks that in my opinion, you can blindly trust. If you're looking for something that is strong, and easy to pack, then the Lone Wolf climbing sticks is what you should go for. The Lone Wolf stand is a lightweight and portable climbing stick that you can quickly move from one hunting spot to another. You can easily roam around the woods freely with the stick in your pack. 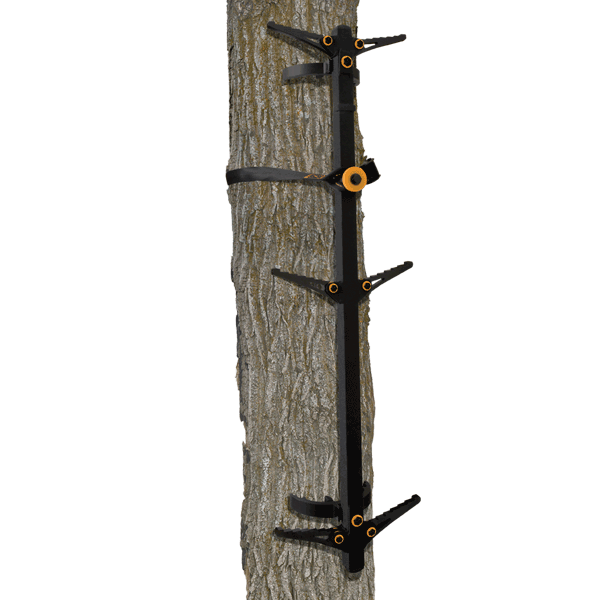 The tree stand is very easy to fold into the pack since it is made for backpacking hunters. You can conveniently mount this stick on different angles of the tree. The rotating V-sections and reversible strides help to coordinate the forms of the tree at various angles. With the reversible steps, you are always sure of an added convenience and security. Another great feature I love about the Lone Wolf is that you can mount the stick in a hurry and get on it on time. Even as an old man, you can easily climb it without the fear of falling. Even if you have a lot of weight, you don't need to worry about stability as the tree stand is strong enough to carry you up to ﻿your ﻿﻿﻿﻿game. Just like the Gear 20, the Lone Wolf climbing stick offers large platforms which allow you to move comfortably on the tree even if you're wearing large boots. That means you can move comfortably while climbing the stick. Also, since it comes with great flexibility, you can easily attach your stand to different trees. The slim pack will allow you to move more swiftly. Although they are solidly made, I think they could make some more improvement by expanding the points where they connect. This would ensure there is some noise canceling coating. If you are looking for a rock-solid, lightweight climbing system, the Muddy Pro Sticks is for you. The Pro climbing sticks are part of the backpack series from Muddy. It is an excellent, portable and quiet climbing stick. The Stick allows you to get on a crooked tree and get your stick still straight and safe. The unique thing about this product is the rope cam system. It goes round the tree to make sure it has a solid and firm grip for quiet installation. Each step has contraction teeth for extra grip, so you'll feel that you're pinning on something with your feet. The Outdoors climbing stick is very lightweight and durable and also offers heavy duty coating for weather resistant. It has silent adjustable bark biters. It also comes with a weather resistant powder coating that will give you a little more slip resistance. Also, it incorporates an excellent silent strap system, so you have no metal-to-metal contact. Once you get on it, the stick doesn’t come down or makes any form of noise. They are straightforward climbing sticks that can get you 15 feets up. It also features double-step that makes climbing sturdier and risk-free. This configuration makes a stand more durable when adding additional sections to the stick position. Also, being able to put your feet on the same step is a big plus for the safety factor. The Rubber ‘silencers’ on the steps help to eliminate clanking noise when you are climbing the stand. These well-designed aluminum climbing sticks install quietly and quickly without any stress. 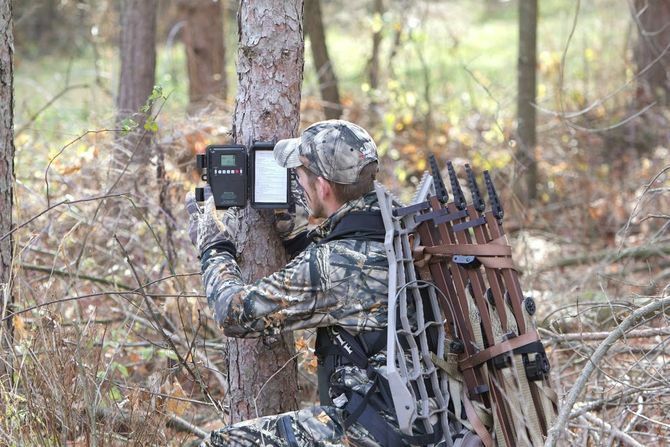 The pending rope cam attachment systems is one of the quickest, quietest in the hunting industry. The patent pending fold-out steps stow neatly and offer a sturdy standing platform. The stick is rock solid and easy and easy to transport. They're not heavy, but are a little bit bulky to carry. The Mossy Oak Bottomland camo pattern is one of the best climbing sticks that comes with an easy to switch left/right bracket to give you the needed flexibility. The unique arch step technology will help to hold your feet firmly to the steps. Another sweet spot is that the stick lets you use either small or large branch trees. It also comes with extended offset V brackets that give the stick a vast clearance away from the tree. While this stick maybe quite lighter than other climbing sticks in the market, we still think its weight is on the high side. With 4.8 lbs weight, the Mossy Oak may be a bit heavy to pack on the go. Don't get me wrong; we do acknowledge the fact that the extra weight makes up for its rock solid design. 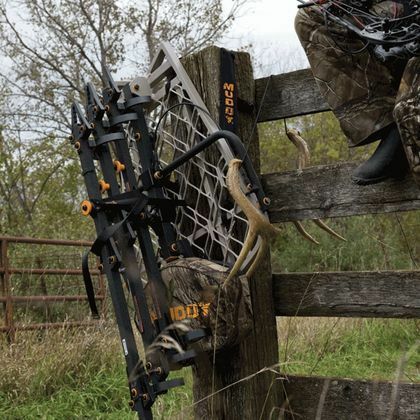 The millennium is one of the best well-thought treestands you can find on the market to give you the most experience. The included anti-slip step is a groundbreaking feature that helps to increase traction. The sweet spot is that this step will not freeze or hold water in wet and cold seasons, making it perfect to be used in all weather conditions. While this unit moves among the class that offers gorgeous standouts, it also moved a step further by featuring an extra long 7 ft buckle cam straps for super tight grip on the tree. 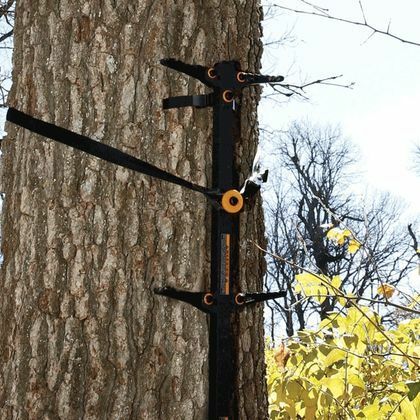 The straps make the stand become one with the tree with its fully tightened abilities. Did you know that the Millennium treestand houses a powder coated finish coupled with a durable steel design for increased stability even if you have a huge weight? While that is true, the included"V" Foot ground stabilizer also adds up to its perfect firmness and sturdiness. We believe the 17 lbs weight is still quite heavy compared to other stands on our list. This alone makes packing the treestand a bit hard on long distances. If you’re looking for a climbing stick that comes with high strength, great mobility, and super stable design, then you may want to choose the Guide Gear Climbing Sticks. The Guide can conveniently take you 20 feet up in the tree. So, you can easily get as high as you want. The guide features five sections that are four foot long that you can pin together to give you easy assembly and placement. Guide Gear 20, also offers a sturdier angle step that enables more secure and easier climbing. The main reason I fell in love with this heavy duty climbing stick is that it comes with a better strength and better footing that enables to reach the top of your game. It also comes with stabilizing straps that hold to the tree and all the way to the top for a sturdy climbing. 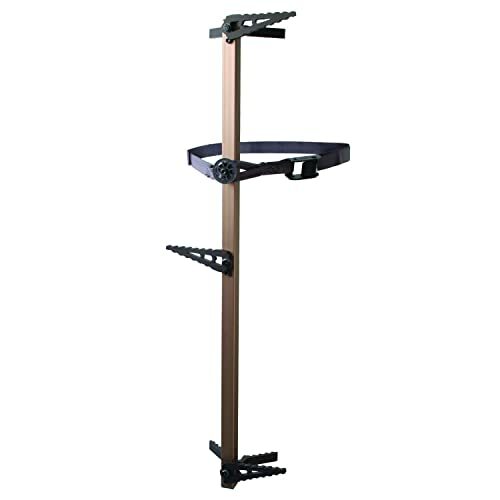 Each level in the stand provides traction to hold your boot firmly and securely while climbing trees. Another unique feature is that you can easily assemble and carry the five sections of the climbing sticks through the woods without stress. A great point I love most about this stand is that the pin-joints are flexible enough to change to any direction. That functionality makes installing the stick easier. For me, with the Gear 20, climbing a tree has been a breeze. Vibration proof. The tree stand is very quiet. Easy to climb and set up once you get it into the woods. What I love about these tools is that it enables you to sit on a tree far above ground level waiting for animals to come to you. Also, climbing sticks can help you move up fast and more securely. Once I locate a promising spot that shows signs of animal activities, then it’s time to elevate. But I had a little problem! The truth is there are quite a good number of companies manufacturing these great brands. But you need to be careful in order to choose top climbing sticks. Initially, when I bought my first tree stand climbing sticks, I was quite happy with it-but I wasn't too satisfied with the qualities. The climbing stick just doesn't get me as high as I'd want it to be. It is a little cumbersome and difficult to carry along in a pack. So, with these impeding factors, I had to make some changes. I had to do some research in getting the top rated climbing sticks that’d give me desired results. And you know what, I got it! I was able to see something that is a little bit more lightweight and at the same time sturdy. But how did I get the best climbing sticks for my hunting experience? Before you go for any climbing stick, you may want to consider the one that is lightweight but strong enough to support you while climbing on it. The reason is because the stick will give you the option to easily move to another location if your first hunting spot isn't ideal, or if you want to try out a new area. Make sure you find out if each section of the stick is portable and foldable enough for transport. You may also want to consider if the climbing stick comes with a powerful mechanism that is safe and easy to operate. Folding climbing sticks are good choice. With this feature in place, you can easily carry the climbing sticks on your backpack conveniently. 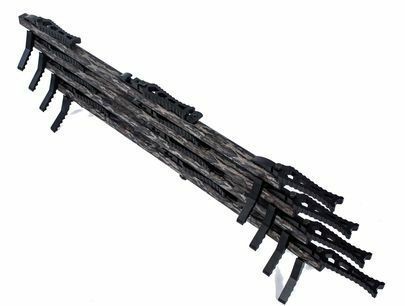 Also, make sure you go for a stick that has a robust and sturdy metal shaft that are three to four feet long with multiple climbing spikes appended on every side for steady climbing. A tree ﻿﻿stand that offers a sturdier angle step, will definitely give you a more secure and easier climbing. A stand-off bracket allows the climber to adjust the stick to the contour of the tree. This gives room for more boot space and a safer climbing. The good thing about this feature is that you'll able to adjust the height and the side of the tree stand. 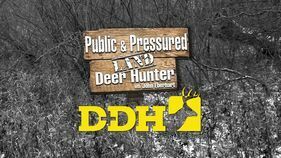 This is an important factor you should consider when choosing a tree stand. 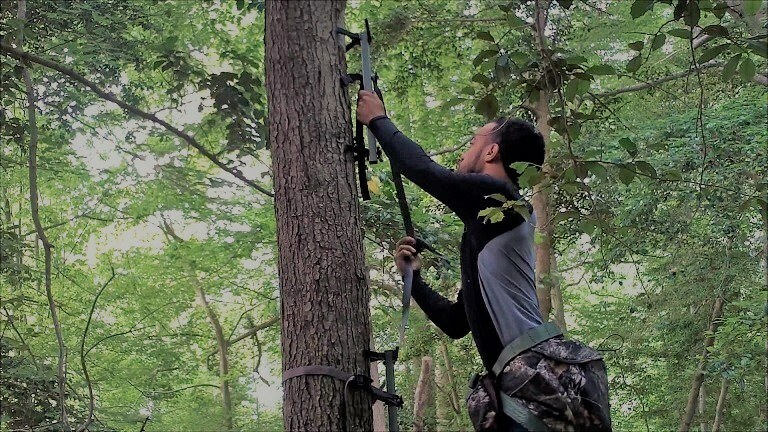 Before you make a purchase on the type of tree stand you want, check if the climbing stick is as high as you want it to be. Most hunters prefer sticks that are 20 to 25 feet tall. But it will be nice if you go for a height that can keep you concealed and is within your skill limit. So, make sure the height is good enough for you to take a perfect shot. If you must get a high performing hunting stick, then go for the one that has a lot of flexibility. With this functionality in place, you can quickly locate the stand anytime you spot a good hunting location for animals. Also, more flexibility allows you to climb up or down without much noise. It can also aid easy and fast installation. Finally, make sure that the climbing stick comes with large steps to accommodate large boot. This will enable you to climb up without any form of discomfort or fear of falling. With this in place, you are always sure of an added security and convenience. So, looking at the products above, I think that the Lone Wolf 4 - Pc. Climbing Stick is more engaging and durable when it comes to the good climbing sticks. What do you think? What are the challenges you are facing with your climbing sticks? Please post about it in the comments. 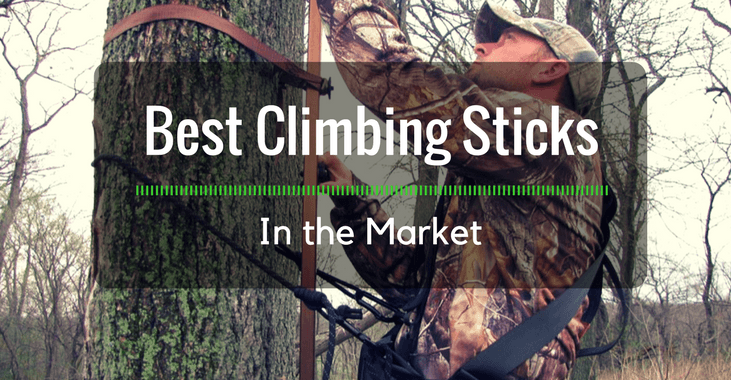 I'd also love to hear your view of the best climbing sticks in the market. Go for it — I love hearing your thoughts on this stuff.